,In this episode of the Impact Podcast, Innov8social founder talks to Bryan Birsic, CEO of Wunder Capital an investment platform for solar energy projects. Wunder Capital develops and manages solar investment funds by leveraging its national partnership network, tested processes, proprietary underwriting framework, and best-in-class online investment portal. Bryan started his career with Bain & Company, a business consulting firm in New York. At Bain, Bryan and his partner Blythe, created the project Green Team. The team examined every facet of the office–from usage of paper cups to energy consumption. Then they came up with a plan, to function more sustainably. Bryan then moved on to join Village Ventures. A venture capital firm focusing on the consumer media/retail and financial services sectors. Village Ventures has built a platform, which it offers to seed early stage firms, provide for collaboration, co-investment and administrative cost sharing. Bryan worked there for four years, and got bitten by the entrepreneurial bug. Bryan wanted to do something which would have a significant impact, so he founded Wunder Capital. It is the third company that Bryan created, he wanted to make use of software revolution like, the amazon web services. At Wunder, they wanted to make it as efficient and cost effective as possible by using technology, to help small businesses to go solar. Wunder Capital uses crowdfunding to bring in as much capital, as possible into this space. Wunder has evolved the way funding is being sourced and tied to projects. In 2004, it was more like a marketplace where any credit investor or institution can come under the platform. Bryan and team noticed that some of the investors were looking for more data on materials and approach, before investing. Investing in solar is not as intuitive as a real estate and startups. But the investors liked the fact, that it is an impact investment, and they were presented returns portfolio as well. As things started to evolve, investors were asking for good portfolios to invest. They don’t want to be tied to a specific project. So Bryan and team identified set of portfolios or projects that matches the criterias of the investors. They started to raise funds against the portfolios or bunch of projects, rather than a specific project. 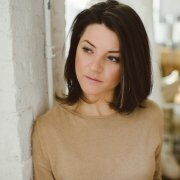 Any credit investor/institution can come to wundercapital.com, and they sell notes out of the funds. Wunder capital immediately uses that money and lends it to business. As the businesses pay back, Wunder capital pays back the investors. This model has evolved to be more successful, for Wunder Capital. Bryan’s perpetual frustration comes from the fact, that he is unable to unlock this space to as many investors as possible. They operate under the regulation D portion of the 2012 jobs act, which means only accredited investors can participate in the fund. You can qualify as investor, only if your income is above 200,000 as an individual or 300,000 as a family. You can also qualify using your assets, if they are worth over a million, excluding your primary residence. So these restrictions are kind of a pain to accept a lot of willing investors. But Bryan and team are working hard to ease out these SEC restrictions. In this episode of the Impact Podcast Innov8social founder talks to Shruti Goel, the Regional Manager of Sankalp Forum, an Intellecap initiative. Shruti is responsible for expanding Sankalp Forum in India & South Asia and ensure value creation for social enterprises and the ecosystem at large. Shruti has a bachelor degree in Social Work from Delhi university working with social agencies like the UN. She did her Masters degree in Social Work from the Tata Institute of Social Sciences (TISS), from Mumbai working on urban development issues. Shruti is working on social impact space for quite some time, and now she is working mainly on public & rural health issues. 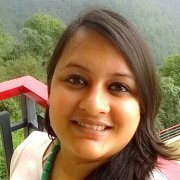 Shruti has more than 8 years’ experience in managing Business Development and partnerships for large social sector organisations. In India, the working relation between private and public sector has been very interesting for Shruti and her team. When Shruti started her journey in social impact space, it was seen as more of philanthropy and social good, but that has slowly changed itself into an interesting entrepreneurial space with maximized social impact. Shruti is now looking at a whole new world, with capital needs, networking needs, technology needs, contextualizing across geographies. She was amazed by entrepreneurial spirit, which was present even at the street level shops in Gujarat. The same kind of spirit existed with the rural doctors who managed their workload and patient health, this where Shruti found that social enterprise initiative will help to maximize social impact. So the Sankalp Intellecap Initiative was born, it aims to influence the global inclusive development discourse through its work with entrepreneurs, impact investors and inclusive businesses in developing markets. Shruti feels that though, Social Entrepreneurship courses are growing in India, they are not in the same rate as in the US. There are a lot of business schools in India, who provide a two years course in Social Entrepreneurship. Shruti also noticed that, there are a lot of certification programs available both on-campus and online. In Sankalp recently, they had a wonderful session, about these programs and how well these institutions equipped to provide courses on Social Entrepreneurship. Intellecap essentially started as an advisory firm, to address Capital deficit. The founder of Avishkar Venture funds, Vineet Roy found problems due to capital deficit, while working with rural entrepreneurs. So he started Avishkar funds, which helped with the funding. But soon they realised that it is the support and knowledge, which is missing rather than funding. He wanted to have ecosystem which could propel social entrepreneurship, and that is how Intellecap was born. Intellecap advisory services, acts as a knowledge and advisory system for the entire ecosystem. Intellecap has a product for each stage of social entrepreneurship. They have a product called “startup wave” which handles the inception of the program, it is a virtual incubation program. If it is a growth stage enterprise, they have I3N network, which is a network of investors. They also have consulting group which provides consulting services. There is also Intellecash which helps small retailers set up shops in cities. They also have micro finance company in east India. With all these, initiatives they wanted to have a platform to connect and enrich the knowledge, resulting in formation of Sankalp. Sankalp is a platform for the investors and entrepreneurs to connect, it started with some 200 odd people. But in the next 8 years of its creation, it gathered a lot of interest among donors, banks, investors who wanted explore the space. Sankalp also ventured into Africa and Indonesia. The Sankalp 2015 summit saw more than 1500 people attending the event, and in the last two years there are more players in the ecosystem pushing them to be competitive. The event and the platform is getting curated day by day, and there are more specific events for an array of audience. Shruti also feels the numbers may not be only KPI, but they essentially reflect how they are performing. At Sankalp they do focus on measuring the impact that each entrepreneur is able to achieve, as there is an increase investor focus on impact measurement. They have a tool called Prism which helps to measure the impact. It helps to contextualize impact based the area, region and the extent of the impact. This information helps the investor to better focus on their investments. It is an online tool, which is developed specifically for equity investing. 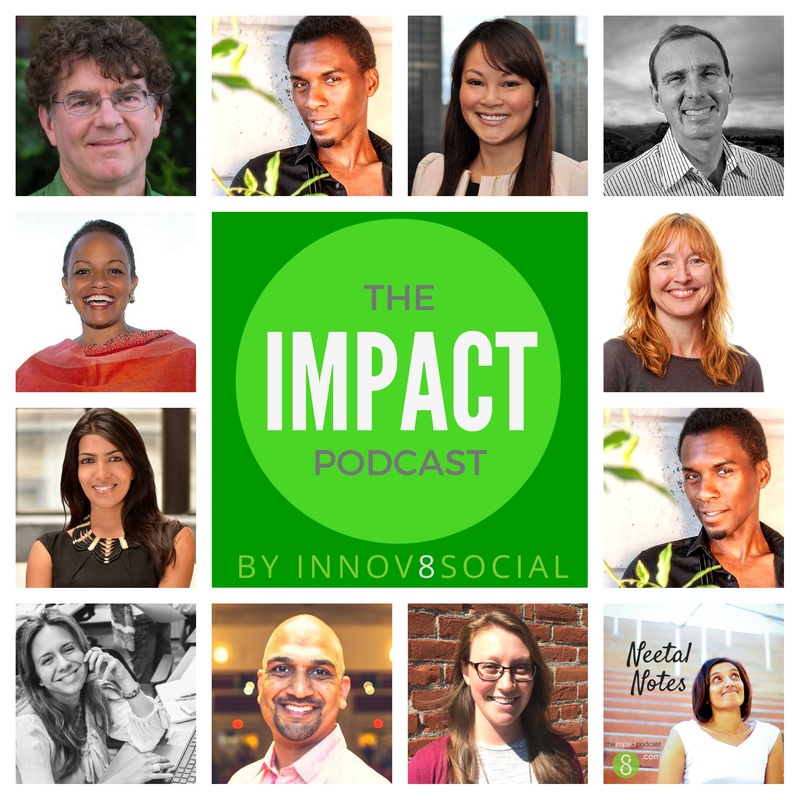 In this episode of the Impact Podcast Innov8social founder talks to Molly Hayward, the co-founder of Cora. Molly is trying to radically change the way women’s health products are sold, with a philanthropic twist. Cora is committed to giving women, access to safe and effective menstrual products, as well as valuable and trustworthy information. In this episode you will get to hear from Molly, on how she took the challenge upon herself, to solve the problem. Molly’s interest in social impact space, started as early as a ten year old, when she started collecting funds for a non-profit. The organisation supported girl child’s education in the middle east. Molly also raised a petition to stop baby chicks from being sent away, as meat for a zoo lion. She felt she was an activist at such an early stage, and that thread continued through her teens. Molly started to pick up interest in social justice, humanitarian aid, international relations, and women’s economics during her college. She took her first job in a startup, which is an e-commerce platform for socially sustainable products. She was impressed with the idea, that a powerful for-profit enterprise was able to create an impact, by supporting sustainable products. After that stint, Molly had an opportunity to travel to Kenya with a non-profit to focus on girls education and maternal health. Molly had an opportunity, to talk to the girls and found that during the period week, the girls were not attending the school fearing leak in their dresses. They were not having access to affordable menstrual hygiene pads and products. So they would fall behind and eventually dropout from school. The women in her world never worried about access to these products or they never fall back on things due to a period. That is when, Molly got the spark for Cora, from some of the existing social enterprises like Tom’s. So that really started, the Cora concept. Molly started to research about how to create tampons using Google. But she was not able to get a full preview of what goes into the product from any leading manufacturer. Molly, understood the fact that cotton widely used in the creation of tampons, were heavily polluted with pesticides. So she decided that, the she will only be offering organic tampons. It took a lot of research for them to come up with a product, and Moreen the co-founder of Cora really helped in the research. Moreen helped to connect with the manufacturer for the tampons. Even though organic cotton is costly it was worth the shot, given the amount of social awareness and health consciousness. Cora’s team has also created a subscription model, that blends well with the style of today’s working women who hate to rush to stores at the last minute. They have also designed an ingenious and elegant carrying clutch which is made of vegan leather, so there is no more hiding. They have even thought well, about the reusable storage box for the tampons which looks sleek and elegant. With every month’s supply of sustainable pads that Cora sold, Cora gives the same to a girl in a developing country so she can do anything during her period. Cora partners with Aakar innovations from India, to distribute sanitary pads to underprivileged girls in the community. Molly has chosen to partner with Aakar, after a careful consideration from a lot of suppliers. Aakar’s vision and social cause, falls strongly in line with Cora. Aakar’s vision is to create awareness and access to affordable, high quality, environmental friendly menstrual hygiene products. They help to empower women and girls, to make informed choices and enable them to take charge of their own socio-economic development. 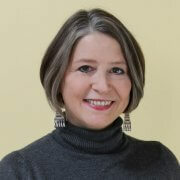 Molly strongly feels the need to have high quality product and branding, to run a successful business in the U.S and also to bring about an impact. Molly recently polled her customers recently, to rank the value proposition of Cora. The customers have ranked, the organic factor as number one, the social cause came in a close second , third was the experience and packaging and fourth was the convenience and delivery. She feels very happy, that she was able to offer this help to girls, and help them go to school. Molly felt the major challenge that she faced, while addressing the social cause in countries like India and Africa, is the cultural and social taboo. Another challenge they face is to help women understand, the difference between synthetic and cotton tampon. The next level would be helping them understand the difference between cotton tampon and organic cotton tampon. There were a lot of assumptions and misconceptions, but she is overcoming the same using social channels. As Cora tries positions themselves as frontrunners, Molly wants to women to be fully aware of the choices, they make about the menstrual products. In this episode of the Impact Podcast, Innov8social founder talks to Christopher Robert, the CEO of Dobility, which creates affordable tools for field research and impact measurement. Christopher started his work as early as in high school, developing Bulletin Board Systems (BBS). Those were online systems, which acted as precursor to the modern form of the Internet. Chris is a technologist, entrepreneur, economist, researcher, and a lecturer. 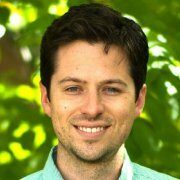 Chris founded Dobility, Inc., which produces SurveyCTO, an electronic data collection platform used worldwide by leading researchers and evaluation professionals. As an economist, researcher, and lecturer, he is involved in long-term projects to evaluate the impact of microfinance in South India. After the advent of internet, a disruptive form of technology Chris, wanted to do something much more impactful, so he took his first international trip Nepal. That kind of unsettled him, and his eager to contribute in a much more impactful way. So he went back to Nepal and started teaching English, but that was just a start of a 14 year journey, that helped him earn a Phd, in public policy focusing on development economics. At the end of the 14 year journey, he was able to combine his expertise in technology with experience in public policy. He felt that technology backbone really helps him, so he never really chucked it out. Chris has learned a lot from his experience in staying in places like Nepal, Cambodia and India and he was involved in a project to evaluate the impact of micro finance in South India. The project was a randomized control trial, and there were numerous dimensions involving massive data gathering. It was during these trials, he felt the need for a more methodological/systematised data collection framework. He felt that the technology is really holding them back. He also realized that a lot of nonprofits, also failed due to the lack of technology. Chris also felt that the tools that were available, are either too costly or complex for the data collection. So he felt the need to develop a private technology or tool which could help rescue this situation. Chris knows that data collection is hard, and what is particularly harder is collection of accurate data. As data is used for decision making process, it is imperative that quality data is collected and fed to the process. Hence Dobility was born, out of the need to simplify the process of collecting quality data. SurveyCTO is the product, which helps to collect quality data using high quality technology. The SurveyCTO technology helps to make sure that the data being collected is really accurate, by monitoring it at each step. The SurveyCTO was released with a very low monthly subscription cost, and recently they were able to release a beta version of the product, for small scale NGO’s. SurveyCTO was used effectively for randomized controls, by nurses in South Carolina to understand the effects of a community nursing program. They were using SurveyCTO on phones and tablets, when they were visiting their patients at home. The data collection involves using Android phones, as most of patients won’t have access to internet. The nurses also record audio responses, GPS co-ordinates etc. and it has moved a long way from the fact that it was once captured in paper. Dobility is registered as C-corp as they want to be flexible, as their commitments change over time. But they wanted to have the concern for social welfare, permeate each and every decision the company makes. The C-corp gives Dobility the flexibility of having foreign talents, to have an equity. This decision helps them to retain extremely talented developers from Greece, Romania to Brazil. Dobility’s SurveyCTO, is a tool for anyone who wants to use the mobile, as a data collection tool. SurveyCTO also provides a web interface to create survey forms. Anyone can use the technology almost free of cost, by sparing 5 mins of their time. Users can spend that time to provide feedbacks or even be able to contribute anything, which makes the product better. 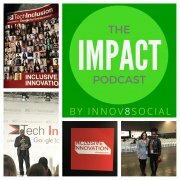 In this episode of the Impact Podcast, Innov8social founder talks to Devin Thorpe, a journalist, author and speaker in the impact space. He is also hosting the show “Your Mark on the World” which has more than 500 episodes. Devin is really huge presence in the impact space and also a writer for Forbes. Devin is an incredible author, journalist and a host who planned to have three careers. One for making money, one for public service and the last one being a retirement plan, an author. He had a very successful career, in a food and beverage industry. Then he moved on to China, where he served as a professor in Business. It was during this period, he wrote his first book “Your Mark On The World“. 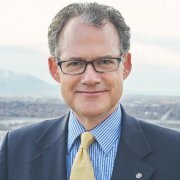 Devin has evolved as an author and has written various books on financial planning and crowd funding. He has evolved as a journalist, and he is contributing regularly to Forbes. Devin also keeps him busy, with his show “Your Mark on The World”. He also plans to write a book every year. Devin is an avid speaker, who would never miss an opportunity. Devin is not only a journalist or writer but he also finds time to do actual social good. 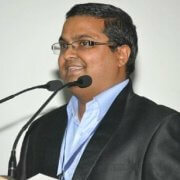 He is engaged in mentoring young entrepreneurs with the help of organization called venturecapital.org. Devin constantly engages with some social good, he was in Nepal last year installing cooking stoves. He feels that his quality of journalism, can attributed to the fact that he spends time on the ground doing social good. Devin was in Pakistan, to help eradicate polio and there are more than 20 million people involved in this initiative. It is one of the last places on earth where polio still continues to be a menace. The last case was documented in April 2016, but Devin hopes that it will be last case after their work. Devin writing strategy is simple, write about things that interests him. His latest book “Adding profit by adding purpose”, is about Corporate Social Responsibility. He was covering CSR when he was writing about it for forbes. Devin feels that a lot of people feel CSR as an obligation to do some good. He finds that to be a flawed strategy, which will yield only, a minimal conceivable social good and strategy that will backfire. On the other hand, there are other corporations which are doing an amazing job. For Example, Estee Lauder which sells a lipstick viva glam where 100% of the proceedings goes to AIDS. Devin feels that their numbers still blows his mind, they have contributed more than 400 million over the past 20 years. 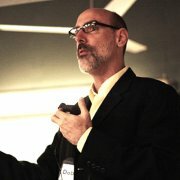 So Devin advocates that kind of thinking, which maximizes the impact and brings the brand a lot of credibility as well. 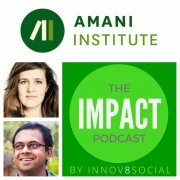 In this episode of the Impact Podcast, Innov8social founder speaks to organizers at the Amani Institute including co-founder Roshan Paul and Communications & Community Director Geraldine Hepp. The Amani institute acts a bridge to bind the gap between higher education and employment marketplace. They help to prepare a new generation of leaders, to tackle the world’s toughest problems. Roshan was born and brought up in India, he moved to the US, for his undergraduate studies. He graduated in 2001, and it coincidentally met with the 9/11. Soon after his studies, Roshan landed in a consulting job with a big company in the US. But after looking at 9/11 attack and the Hindu- Muslim violence back in India, Roshan went back to India to become a social entrepreneur. He travelled around the world, working with 300-400 social entrepreneurs. While working with them, Roshan understood that it was not funding, but rather finding right talent was a main problem for all these social entrepreneurs. At the same time, Roshan found that a lot of students who were graduating wanted to work in a job that provides, social impact. But at the same time, the graduates were missing some required talent, hence were not landing in their dream job spots, and hence Amani was born. 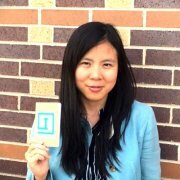 Geraldine joined Amani institute after working as an Intern in education sector. She did not want to join the development sector, as it was not in line with goals that she has set as a teenager. She wanted to join the education sector, and through one of her friends heard about Amani institute. Geraldine felt this option to be great, as it helps her to look at the social enterprise sector from a different perspective. Geraldine felt that through education, she would be able to change the problem that see saw with development sector. She feels that the sector needs the best minds to solve the problems of the 21st century. Geraldine feels that just having good intentions and passion might not suffice, but they should also be willing to second guess things. So Amani helps these professionals to fine tune their skills, so that they can fit into the social sector quite easily. She joined Amani in 2013 from Kenya. At Amani institute, Roshan and team has created a master equivalent program in Social Innovation Management. They launched their first class in Kenya. Currently Amani is running their fifth class in kenya and their second class in Brazil. The Amani institute is also approached by a lot institutes, social enterprises and companies, to come in and do customized programs for capacity planning. At Amani, they have also started to work with universities, to align their courses to the marketplace, and to arrange trainings for their faculties. Those are the three main streams that Amani is working on right now. Amani has trained around 130 fellows, from around 35 countries mainly from Africa, Latin America and Europe. What is common among them in their quest is to find meaning in their life and career. They want to create an impact. The common fellows of Amani are the people, who want to move from private sector to a social enterprise space. The second group are the ones, who come directly from the university and have interest in social sector. The teams at Amani are incredibly diverse, and have people from IKEA and Coca Cola who are interested in social space. The main program for individuals is the “Certificate in Social innovation management”, it is an online course and it has an immersion phase in Nairobi or Sao Paulo for four months. It starts with an online foundation month, where people connect online and discuss content based things about social innovation. As there is high diversity of fellows, there is a lot of talent that comes to the table. Geraldine feels that a lot more intrapreneurs needs to come up so that all the amazing ideas brought forward by social entrepreneurs can be taken to the next level. After that the foundation month, the immersion program allows the fellows to join as an apprentice in any of their choice of social enterprise and learn things on the job. This forms one of the pillars of the immersion phase. The second pillar is to learn the skill required using a professional skill workshop, apart from the daily work. The third pillar is the leadership track, which is called the inner journey of the change maker. This phase focuses on the inner qualities of the change maker. After the immersion phase, the acceleration phase kicks in, and that spans for five months. During these five months the participants will get to focus on finding mentors, maintaining relationship with the mentor, building peer networks and skills that participants wants to hone . There are two intakes for these programs one is in February and the other in July. To Learn more about Amani institute and about their team, please visit below.